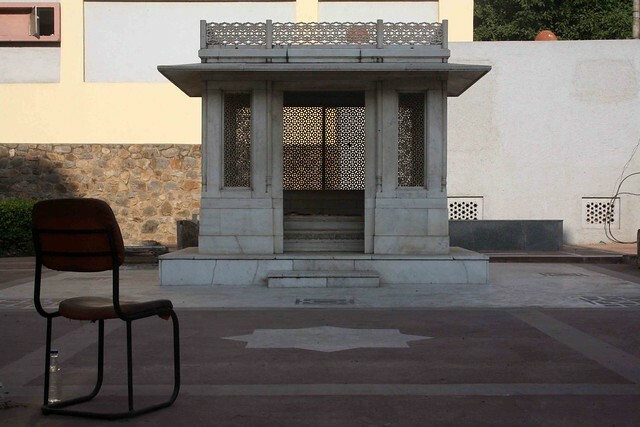 Opened from sunrise to sunset, the mausoleum of Urdu poet Mirza Asadullah Beg Khan Ghalib usually remains empty. 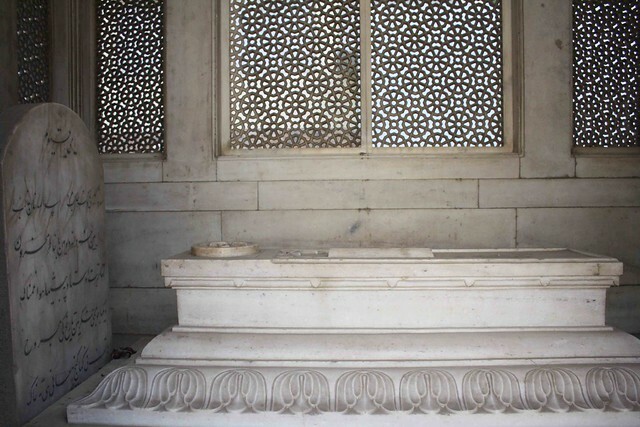 His rectangular tomb chamber is in Hazrat Nizamuddin Basti, a central Delhi village named after a Sufi saint who lived here in the 14th century and whose shrine forms the area’s central focus. 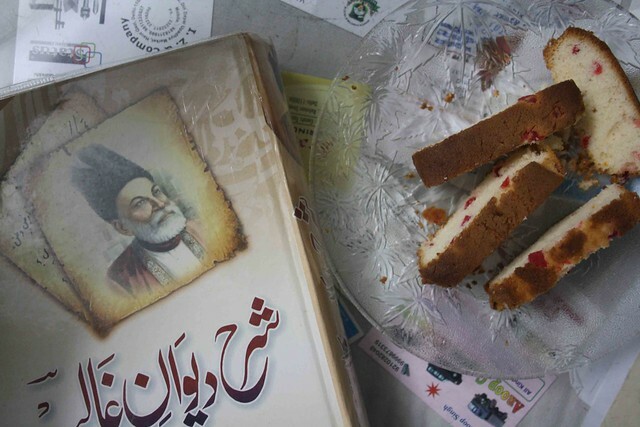 Mirza Ghalib died in extreme poverty in 1869. His verses and letters chronicled Shahjahanabad, or Old Delhi, at a very delicate point in its history. The Mughal capital was destroyed by the British following the 1857 Uprising. Ghalib was buried in the family graveyard of the nawabs of Loharu to whom he was related through his mother and also by his marriage. 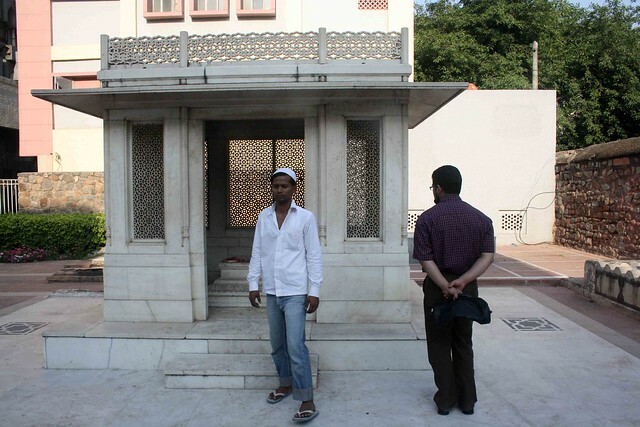 Until a few years ago, the tomb was visible from an alley teeming with Sufi pilgrims, flower sellers, beggars and goats. 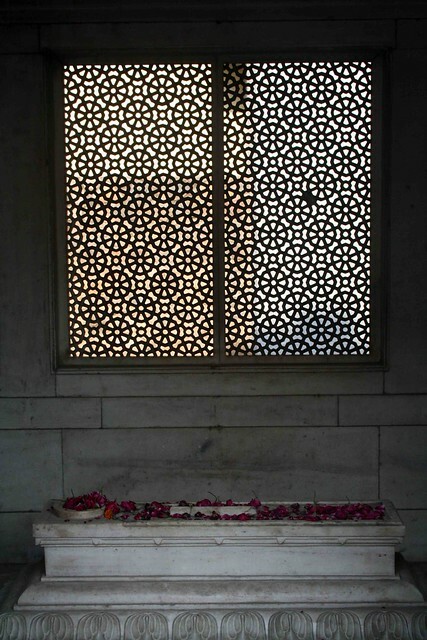 It was restored in 2009 by the Aga Khan Trust for Culture in partnership with Archaeological Survey of India and the Municipal Corporation of Delhi. 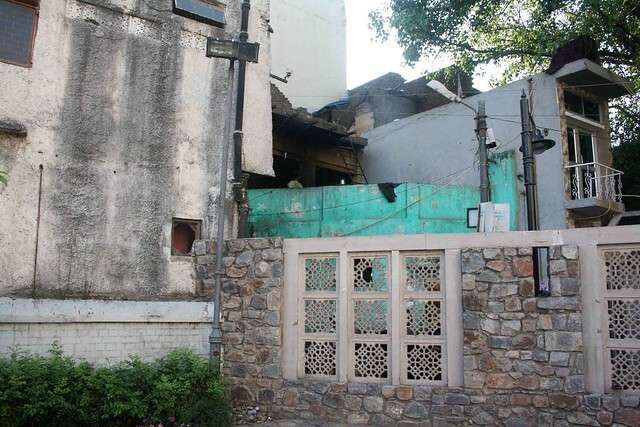 Before the restoration, the boundary wall was not as high. 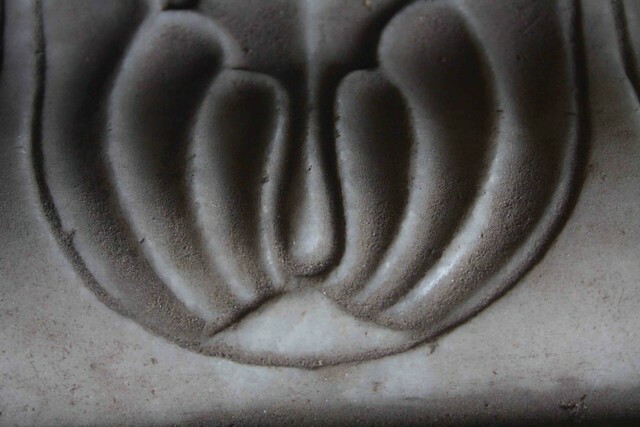 Cats clambered down from the surrounding butcheries to snooze beside the poet’s tomb. Today, the cats are not seen. The street sounds seem to come from far. It is difficult to believe that this is the final resting ground of a man whose poetry continues to command a large following in the popular culture. 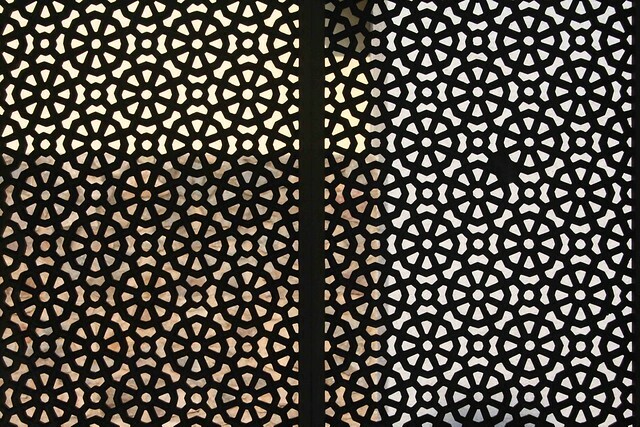 The restored courtyard is paved with red sandstone, white marble inlays and ornamental patterns. 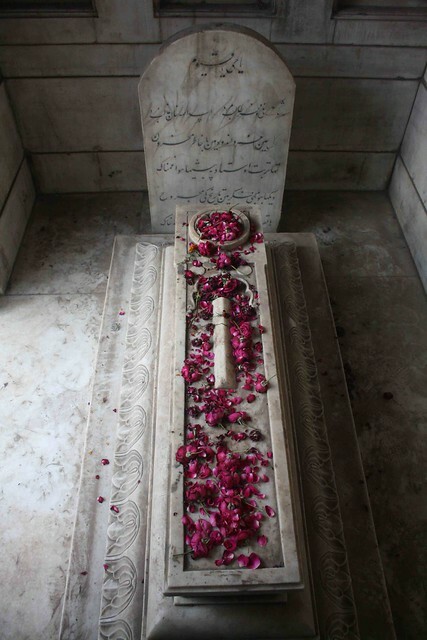 A Ghalib couplet is inscribed on a marble slab in Urdu as well as in Hindi and English translations. Half-a-dozen graves are clustered at one corner of the courtyard. One of these tombs is believed to be of Ghalib’s father-in-law, Mirza Ilahi Bakhsh. Ghalib is one of my favourite poets of all times. His verses and poetry were amongst the first i learned and understood. He remains to be inspiration to millions for people of all ages and times. 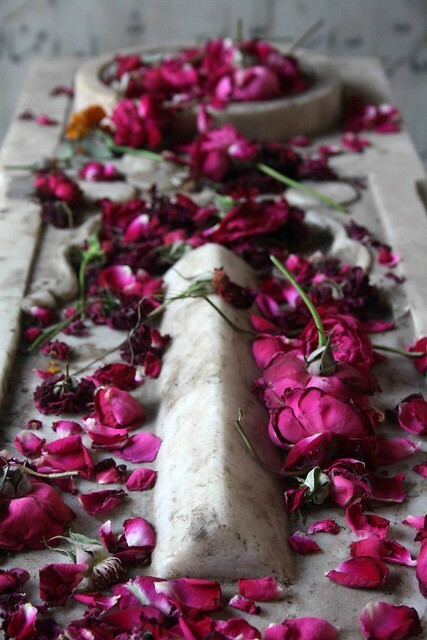 Someday i will visit his delhi..his ballimara…and will try to capture the essence of old times in my bones.